The discussion began with a presentation by Professor Jorge Madeira Nogueira of the University of Brasília (UnB) of the cost-benefit analysis (CBA) and guidelines for the implementation of economic/financial instruments to achieve the forest restoration goal of the Brazilian Nationally Determined Contribution (NDC). The presentation was followed by a discussion on the regulation of article 41 of the Forest Code and the implementation of economic instruments, particularly for restoration. Participants then debated the concepts, limits, opportunities, and applicability of identity/ecological equivalence as a new requirement for compensation. Participants at the event. Photo credit: Alexandre Ferrazoli/FUNBIO. But what exactly are CRA? In Brazil, rural properties play an important role in biodiversity and natural resource conservation, as owners must maintain at least 20% of their total land area with native vegetation. These areas are called LRs and are intended to maintain forested areas and their ecosystems, ensuring ecological balance in the region. However, many properties have yet to meet these requirements, resulting in a deficit of LR. Established in 2012 by the Forest Code, the CRA are a compliance mechanism. The CRA program creates a market through which landowners, with LR deficits from as early as 2008, can meet their legal obligations by purchasing quotas, and thus protect an equivalent ​​native vegetation area located on other properties. The purpose is to discourage owners of native vegetation areas from deforesting it by, instead, making it a source of income through its preservation. Moreover, this market mechanism has the potential to be a very efficient conservation tool for priority areas for conservation and sustainable use of biodiversity, as they are classified due to their high value and according to their relative degree of biological importance. 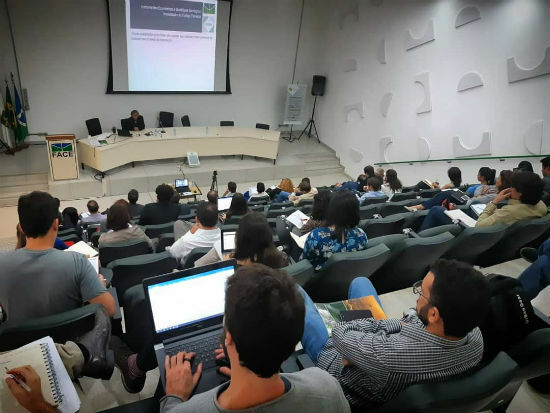 Click here for more information about our project.For more information about CSF-Brazil’s analysis on different CRA implementation scenarios in the state of Bahia, northeastern Brazil, please click here. Read about another study that aimed to identify the best strategies for the efficient operation of the CRA mechanisms within and among states here. Support for the organization and logistics was provided by the Critical Ecosystem Partnership Fund (CEPF).